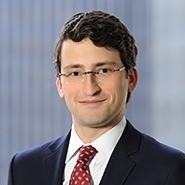 Recently, Andrew C. Finch of the DOJ’s Antitrust Division confirmed (during a panel discussion at the Heritage Foundation) that the Division is “looking at whether or not it might be worthwhile to revisit [the indirect-purchaser] rules and suggest the same to the Supreme Court.” He clarified that the ultimate decision whether to pursue such a change is the Solicitor General’s, but noted that it is an “important area in antitrust law” that has the Division’s attention. Finch also explained, however, that the Division’s thinking on this issue, “in many ways,” is not “newsworthy.” He observed that the Antitrust Modernization Commission (on which the current head of the Division, Makan Delrahim, served) voted in 2007 to recommend changes to the indirect purchaser landscape. Thus, he explained, complaints about the confusion and inefficiency created by parallel state and federal litigation regimes are “nothing new,” and reports of the Division’s thinking do not reflect a break in continuity. As a practical matter, a reversal of the indirect-purchaser rules is not imminent. Supreme Court litigation is a slow and unpredictable method of policymaking. An alternate path to a new set of rules would be through legislation (a field to which Mr. Delrahim, a former lobbyist, is no stranger). With all respect to Mr. Finch, however, any prospect of a change in the indirect purchaser rules is indeed newsworthy, because of the momentous effect it would have on private civil antitrust litigation and the treble damages that can flow from these cases. 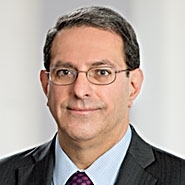 One would assume that, because the antitrust agencies rely heavily on private enforcement, incentivized by the treble-damage remedy, to supplement their own enforcement actions, it would be natural to assume that any federal proposal in this area would be to grant standing to indirect purchasers. The 2007 Commission’s Report and Recommendations did exactly that. Reasonable minds can differ on whether the right to sue should be limited to direct, or extended to indirect, purchasers. Yet, the ultimate problem with Illinois Brick may not be its restriction on those who can sue, but the crazy patchwork of inconsistent federal and state rules that emerge in repealer states. That is largely the result of the Supreme Court’s decision in California v. ARC America Corp., 490 U.S. 93 (1989), holding that federal antitrust law does not preempt state Illinois Brick repealers. Another legislative reform that would solve that problem would be a federal statute that overrules ARC America and expressly preempts those state laws.